The Bugatti Divo is expected to share the Chiron's staggering 8.0-liter quad-turbo W16 powerplant. As teaser images go, the latest ones from Bugatti of its €5million Divo hypercar don't exactly give a lot away. Even so, they're sure to ramp up the anticipation ahead of the car's full reveal scheduled for August 24 at The Quail Motorsports Gathering. In case a 'regular' Chiron doesn't quite have the performance a buyer is looking for, the Divo will be a track-focused hypercar from Bugatti concentrating on ultimate handling and cornering achieved through shedding weight and producing lots of downforce. Along with a handful of images, the manufacturer has also released a short teaser video showing the rear lighting of the Divo to be significantly different to that of the Chiron. The Divo's tail lights look to be made up of multiple LED elements, which create an almost three-dimensional element to the design. One of the images shows a vertical fin at the trailing edge of the car's front wheel arch, which is covered in carbon fiber and has a French tricolour motif incorporated into one of the vents. And of course, there's no hiding the fact the Divo will boast a very large rear wing. Although there's no disputing the fact the car is an evolution of the existing Chiron, there appear to be plenty of styling and aero elements that will easily distinguish the Divo from the Chiron. There's no getting away from the fact this will still be a frighteningly fast car in a straight line, but unlike the Chiron and Veyron before it, the Divo will signal a marked change in direction as this Bugatti will be more concerned with handling than purely focusing on straight-line speed. Of course, as the new model is expected to share the Chiron's staggering 8.0-liter quad-turbo W16 powerplant, there will be no lack of performance on offer from the Divo. The maximum power output should be somewhere in the region of 1,479bhp, with a maximum torque rating of a staggering 1600Nm. Even with the extra downforce to aid handling, the Divo will still be capable of a top speed beyond 230mph, and its 0-60mph time should still be around the 2.5-second mark. 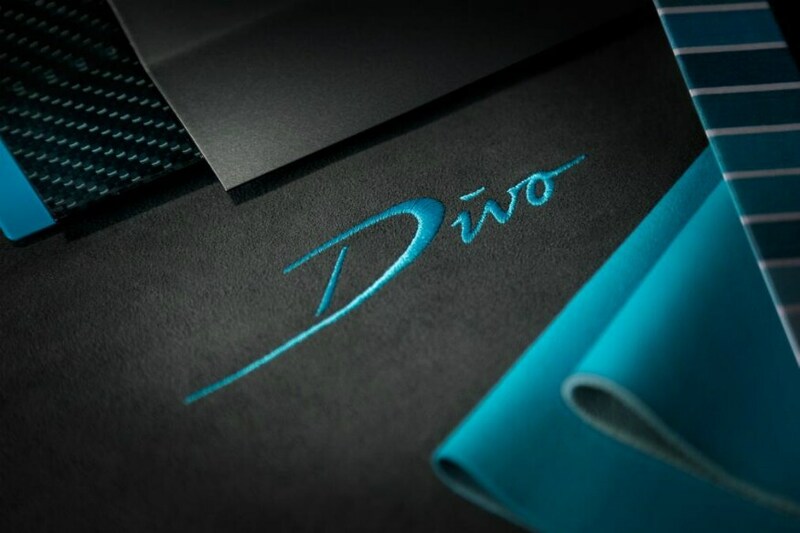 The production run of the Divo will be limited to just 40 units, and the first time the world will get to see it will be in Monterey, California towards the end of August.